Barcelona, the capital of Catalonia, is a Mediterranean and cosmopolitan city with Roman remains, medieval quarters and the most beautiful examples of 20th century Modernism and avant-garde. It is no surprise that emblematic constructions by the Catalan architects Antoni Gaudí and Lluís Doménech i Montaner have been declared World Heritage Sites by UNESCO. The city's origins are Roman, and its long history and economic dynamism have made Barcelona a cultural city, which can be seen in the historic-artistic heritage and the promotion of the most innovative artistic trends. The city's original site, which was surrounded by walls in the Roman period, is today the Barrio Gótico (Gothic Quarter). Along narrow streets, with secluded squares and charming corners, you will find a series of civil and religious Gothic constructions. Medieval palaces such as the Casa dels Canonges, La Pia Almoina or Casa d'Ardiaca stand around the impressive cathedral. Your English-Speaking Official Guide and Chauffeur will pick you up from your hotel or cruise ship port. 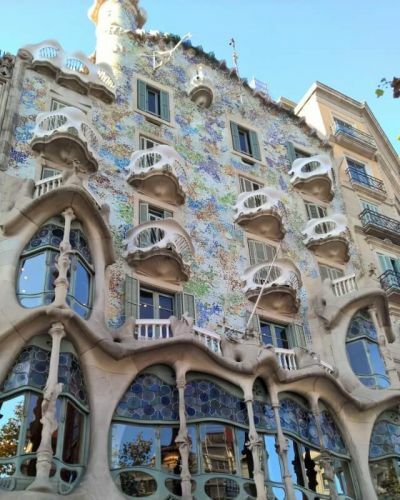 A full day devoted to discovering the many facets of Barcelona. Drive through the bustle of this great city and stop at some special sites. Look around attentively while listening to our guide. Visit the main attractions: Montjuic Hill, the Rambla, the harbour and seafront, the Gothic quarter, Museum of Picasso and Gaudi­´s masterpieces (Sagrada Familia, Parc Guell, Casa Milla, Casa Batllo). We have reserved a table for your lunch at a recommended restaurant. At the end of the day your chauffeur & guide will take you to your Hotel or cruise ship and say the final goodbye. Private Chauffeur (NOTE: The chauffeur is not an official guide and can`t guide within monument this is why an official guide is included). English-Speaking Official Guide for Full-day tour in Barcelona. (LR) *Lunch Table Reservation in a recommended restaurant with fine cuisine (*Meal not included must order directly at the restaurant). Tip and Gratuities to Chauffeur and Local guide.